Adam Knight Gilbert is Associate Professor and Director of the Early Music Program at USC’s Thornton School of Music. He received his PhD from Case Western Reserve, studied in Belgium with Fulbright and Belgian American Foundation Grants, and taught musicology at Stanford University. 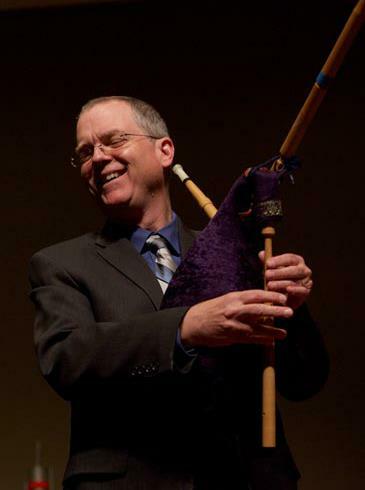 Adam has performed and recorded on recorder, shawm, bagpipes, and historical woodwinds with Ensemble for Early Music, Waverly Consort, Piffaro, and as co-director of the ensemble Ciaramella whose recent CD Dances on Movable Ground earned 5 stars by the British magazine Early Music Today and was picked the Editor’s Choice, lauded for its “expressive fluidity and rhythmic vitality”.. 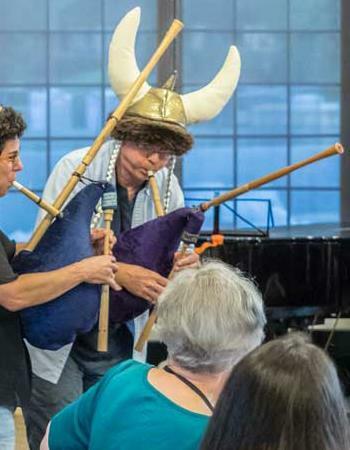 He received the 2008 Noah Greenberg Award and was join recipient with Rotem Gilbert of the 2014 Thomas Binkley Award for “outstanding achievement in performance and scholarship by the director of a university or college early music ensemble.”. He researches and writes on early modern composition and improvisation, performance practice, and symbolism. “Adam was absolutely astounding. That level of energy combined with background knowledge was mind-boggling”. Adam Gilbert performs Dedans la mer de longue accente (att. Robert Mouton or Firmin Caron), with Rotem Gilbert and Aki Nishiguchion on Renaissance recorders. Airs and grounds for early winds. This class can be geared to either loud or soft reeds. This class would introduce students to the most recent discovery in fifteenth-century music, and the smallest French songbook of the fifteenth-century. In addition to the known hits in the manuscript, we will play the twelve anonymous unica (songs unique to the manuscript) and consider how they might relate to some other songs by known composers. The top voice is texted, so singers could join. “Folk” and “Popular” Songs and Renaissance Dances. Recorder and reed players intermediate and upper intermediate. This class will explore the relationships between songs and dance tunes from Renaissance sources (manuscripts and prints) from about 1450-1650. Who knew that The Washer Woman’s Bransle was also bart of a bawdy song from the mid fifteenth-century about monks and priests? And who knew how much dance patterns, textual patterns, and motivic shapes are intertwined in a historical choreography all their own? Some, but not all, works will have text.